Something is not right in this picture. One feels sorry for President Abraham Lincoln on the wall, looking down on this spectacle. 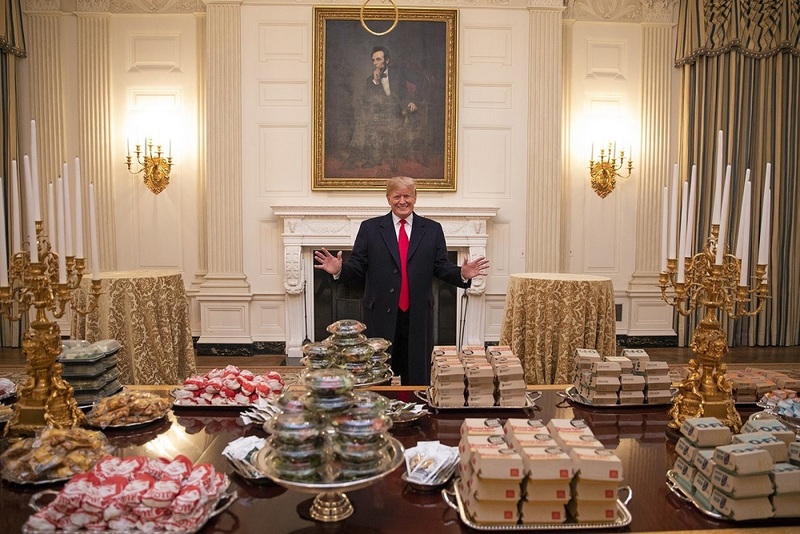 Trump on Monday night in the White House, with the table groaning with cheesy & cheapskate fast food. (I guess those are a few salads at the top left). This is for the Clemson University football team, for their national championship celebration. I thought there was a government shutdown, Mr President. Should you not furlough all your White House staff, as well? Next PostNext Tuesday/ deal or no deal?